The mainstream has been wrong about dietary fats since the 1950s. But it seems like they’re starting to come around. At the beginning of the study, none of the subjects had type 2 diabetes. These people didn’t exercise. They didn’t even change their lifestyle. After four years, researchers found that a specific type of high-fat diet lowered their risk of developing type 2 diabetes by at least 18%. And there’s an easy change they could’ve made to get even better results. But while it blows the standard American diet out of the water, it’s far from perfect. It relies heavily on whole grains. If that’s not raising any red flags for you, it should be. Even “heart-healthy” whole grains cause inflammation in your body. They also cause your blood sugar levels to spike, which raises your risk for type 2 diabetes, heart disease, and stroke. But there’s another problem with eating whole grains—and it might be just as dangerous. Grains contain phytic acid (PA). It’s a substance that blocks the absorption of essential nutrients. These include zinc, iron, magnesium, copper, and calcium.4 This means if you’re eating a diet high in grains, you could actually be preventing your body from getting the nutrients it needs over time. Not to mention you’ll also be raising your inflammation and blood sugar in the process. High inflammation…low nutrient absorption… Talk about a bad combination. Lowering your risk for diabetes—and reducing inflammation—can be as simple as eating the right foods. The Mediterranean Diet is a step in the right direction compared to the standard American diet. But it’s not your best path to optimal health and longevity. Instead, aim for a Paleo-type diet that eliminates grain and other processed foods. It may be the key to preventing and fighting cancer. Your carbs, while kept low, should be coming from leafy green vegetables—not a box of whole grain pasta. 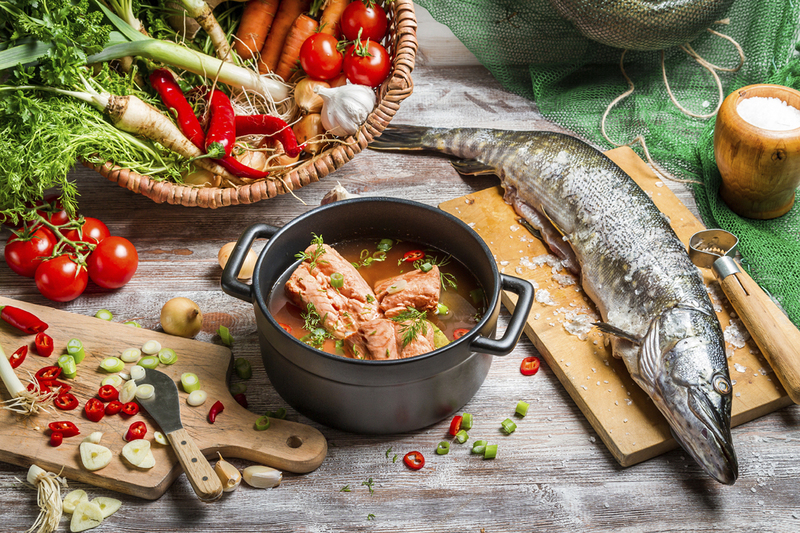 Eating organic fruits and vegetables, wild-caught fatty fish, grass-fed beef, nuts, and healthful fats will help you lower inflammation and avoid diabetes. Unchecked inflammation also leads to more than 80 different autoimmune diseases. Don’t think this affects you? Think again. A simple symptom like fatigue could indicate a disorder. Some don’t have any symptoms at all…at first. But if you can control your inflammation, you’ll not only avoid autoimmune disorders, your overall health will improve. In the May issue of Natural Health Dossier, just posted to the Members Only section of our website, we get into more specifics on how a Paleo-centric diet can slash inflammation…a closer look at what causes autoimmune conditions…the type of doctor to seek out to help you treat them (your regular physician isn’t going to cut it) and more. But that’s not all our researchers have been up to lately. In our 25 page anti-aging report, you’ll discover the way one dozen men aged 61-81 reversed up to 20 years of aging in just 6 months. Their total transformation included losing an average 14% body fat… fat turned to muscle… skin thickened… and their bone density increased. You can get access to this report and more, plus May’s Natural Health Dossier issue, today. And you can start putting all of the solutions inside to work for your own health or that of a loved one. Go HERE now for more details. Some of the reading I have been doing lately speaks of research which has shown that using natural yeast (instead of commercial) is the key to getting the nutrition available in whole grains (specifically wheat), and stopping the effects of phytic acid.